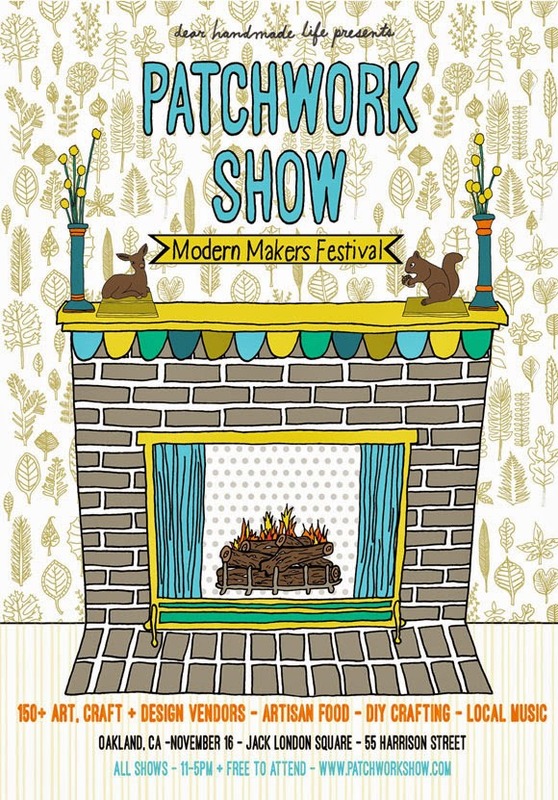 It's the season of craft fairs and I'll be at the Etsy Indie Holiday Emporium in San Francisco this weekend, November 29-30th. I've never been to Pier 35 before, but the space looks huge and there will be a ton of awesome vendors there. If you're out shopping this weekend come support your local craftspeople. 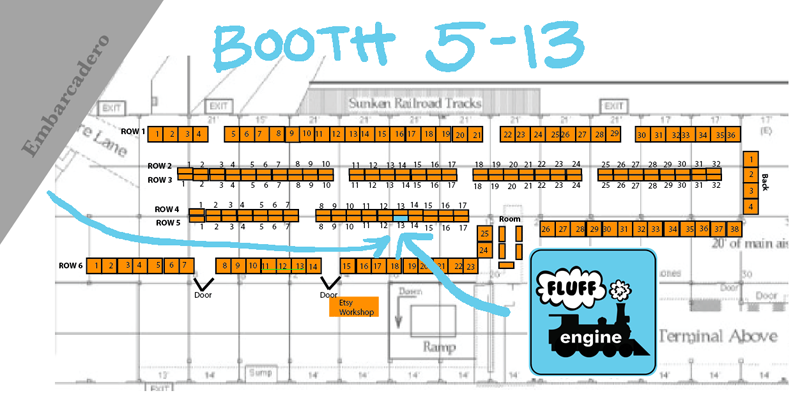 I'll be at booth 5-13, it's a little confusing but come check out the show. 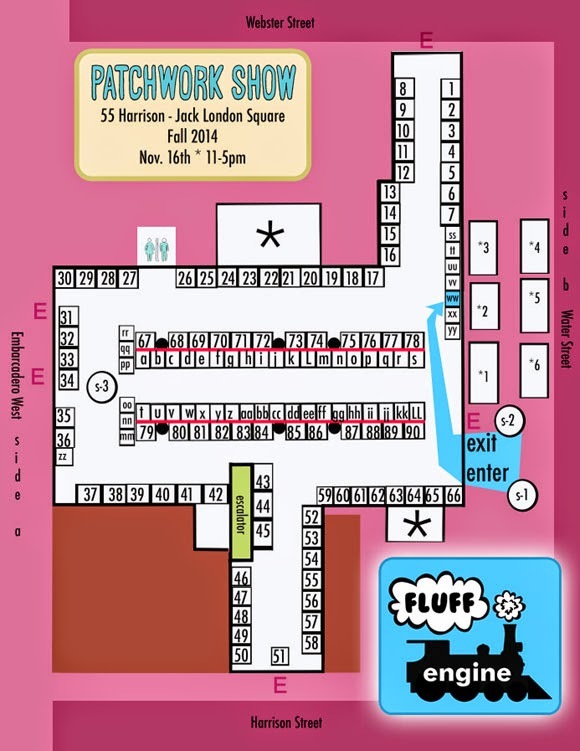 I'll be at the Patchwork Show this Sunday, November 16, 2014 in Oakland, CA. I've been working hard making lots of different stuffed toys and I'll have my new squirrel pattern too. Come check it out if you live in the bay area. Several years ago I picked up this great purple twill fabric at the White Elephant Sale in Oakland. I made a skirt with it, but I didn't pay attention that the twill weave does have a specific direction, so my skirt didn't look quite right. I still liked the fabric and had a lot of it left over to make another project. 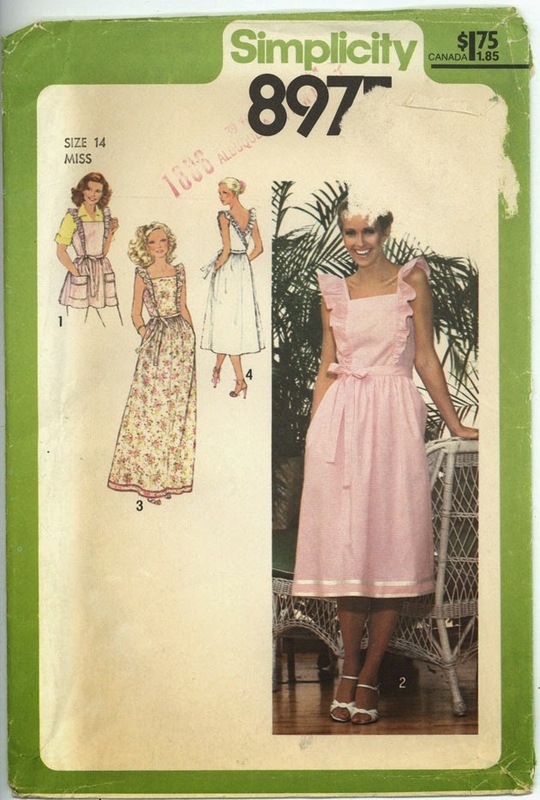 I found an easy wrap dress pattern in my collection, Simplicity 8975 from 1979. I followed the directions except I didn't want the crazy ruffle straps, so I just didn't add them. It did leave a very strange neckline, so I had to figure out a way to make it more flattering. 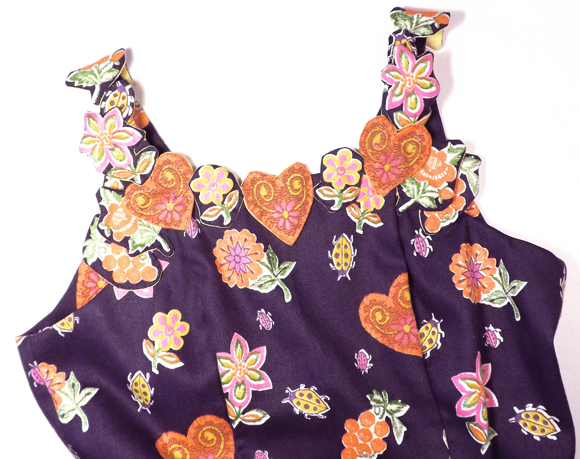 I cut out individual flowers, hearts and bugs from the fabric print and arranged them around the neckline. I backed them all to remove any loose edges and sewed them on by hand. 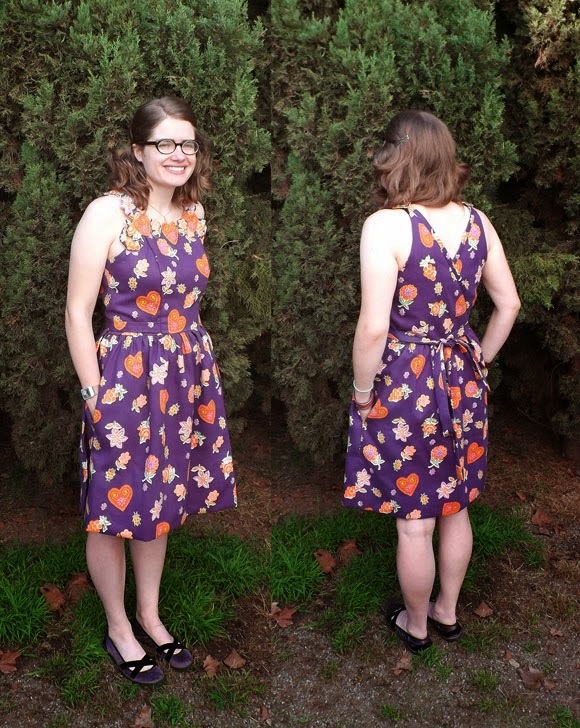 I've already worn this dress several times and I'm always so happy that it has side seam pockets.